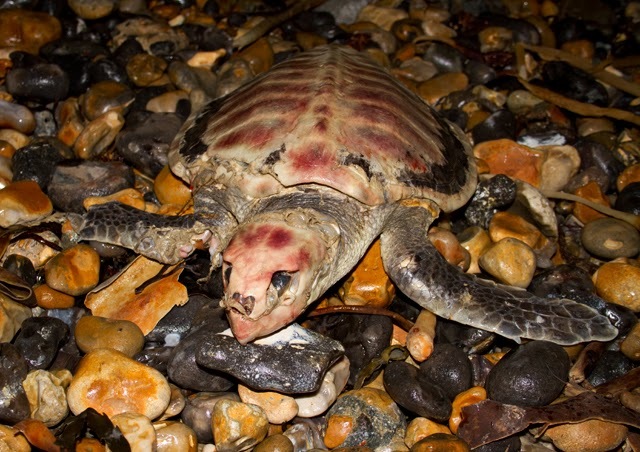 The Nature Quest: KEMP'S RIDLEY SEA TURTLE in Sussex! 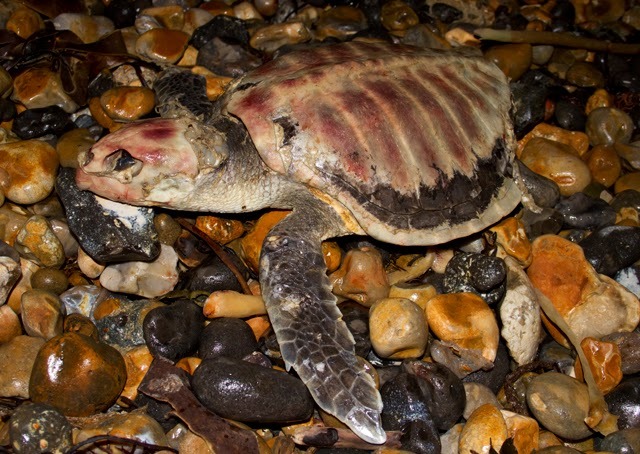 KEMP'S RIDLEY SEA TURTLE in Sussex! The storm's which have been blowing on and off all year have finally begun to make beachcombing a) safe and b) worthwhile. Having had a good look at Littlehampton over the weekend I managed to find tons of stuff but more of that another day. 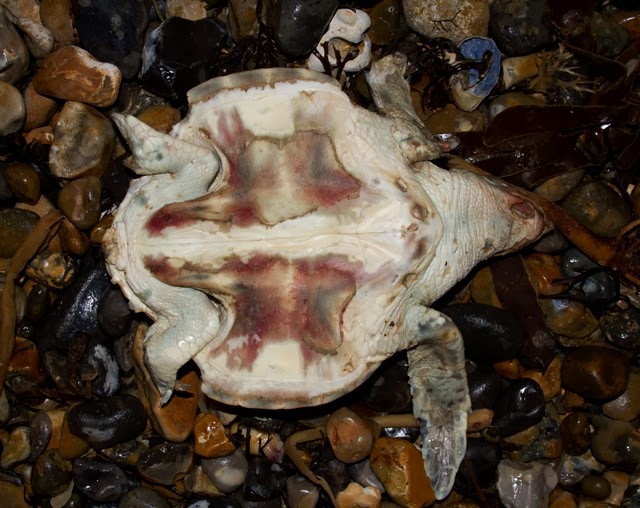 Last night I got a phone call from PB to say that SM had found what he thought was a Loggerhead Turtle on the beach at Saltdean! By now it was pitch black and I had no chance til the morning. After a while it suddenly dawned on me that this brilliant opportunity could be washed back out to sea at high-tide. I quickly went on the net and found that high-tide was at 00:18hrs. That meant I had to go tonight if I was to make sure it hadn't been washed away with the tide. I grabbed my camera and Dad and we headed off with some further instructions as to its whereabouts. Soon enough we had located the turtle and set about grabbing some photographs. As soon as I saw the animal alarm bells rang that it didn't seem to have a big enough head for a Loggerhead. Anyway I took as many photos as possible as I vaguely remembered that both the underside and top side were needed to ID some of the species. When I arrived home I began to do some investigation work and I was fairly certain it wasn't a Loggerhead Turtle. 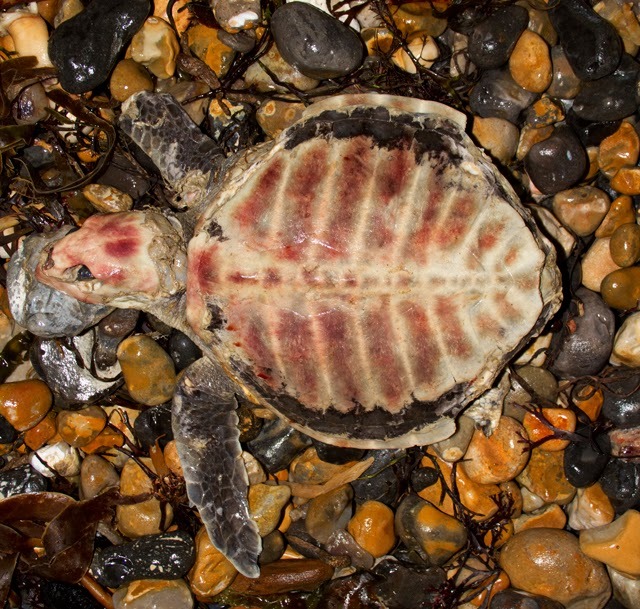 I had narrowed it down to a Ridley Sea Turtle however there are two species, the Olive and the Kemp's. Luckily help was on hand and MC who has some decent experience was able to help confirm the ID. 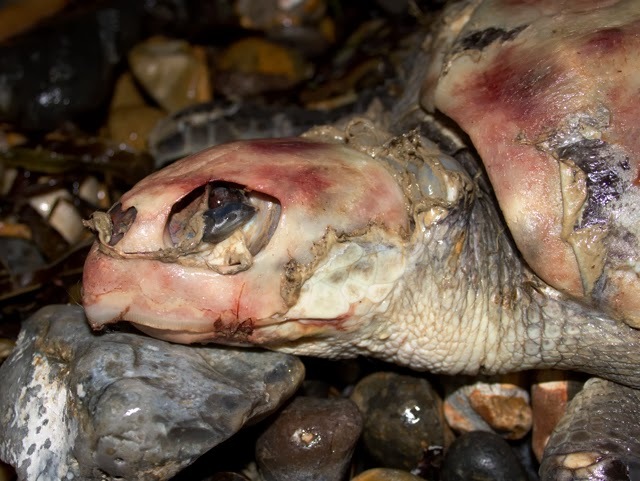 Steven also contacted me and we had both come to the same result...it was actually the World's Rarest Sea Turtle - the Kemp's Ridley Sea Turtle. 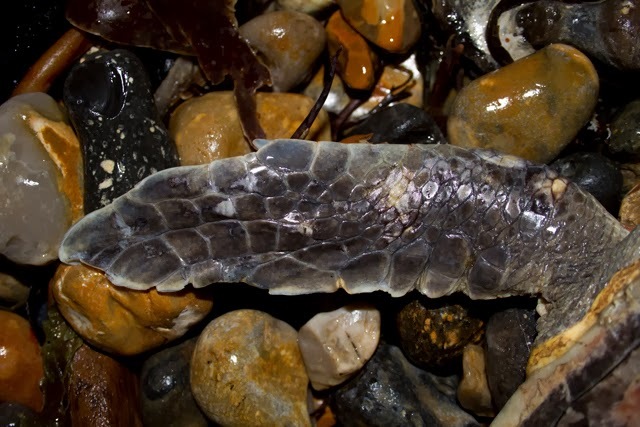 Truly unbelievable and I cannot believe that it was stranded on the beach at Saltdean. It is incredible what you can find along the beach after storms and this just goes to prove it. 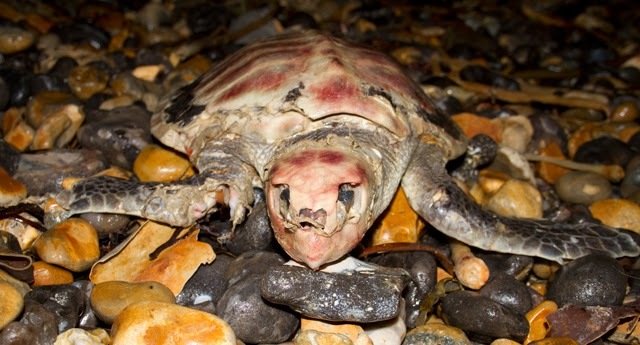 Following a big Loggerhead in Worthing in late December what is going to be next! Many thanks and well done to Steven for finding it and to Pete for letting me know about it in the first place.